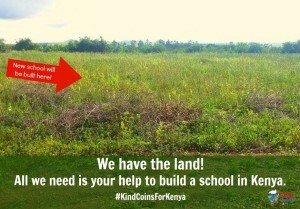 We Have the Land for the New Kids for Peace School of Kenya! 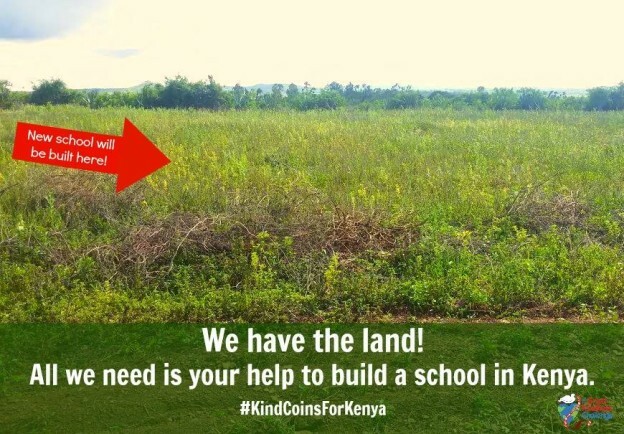 Last May, I went to Kenya with Kids for Peace to shoot video of a young child, Magi, to be shown in schools during this year’s Great Kindness Challenge to raise money for a pre-primary school in Magi’s village, Mikei. We had an epic year at The Great Kindness Challenge with over 5,000,000 participating students! The donations from these students has allowed Kids for Peace to purchase the land, and we are only just beginning. This whole project has been one of my favorite of my adult life, from introducing me to a new favorite form of storytelling (video shooting and editing), to allowing me the chance to get to know the warm and joyful people of Mikei, and for showing me the magnitude of good that people can do when they unite for a common cause. I cannot wait to return to Kenya this summer to shoot the follow-up footage of Mikei’s new school to share with you and all of the children who helped raise the money. In the meantime, if you’ve not yet seen Magi’s story, check out the video here! This entry was posted in Uncategorized and tagged great kindness challenge, imovie, iphone6, Kenya, Kids for Peace on March 15, 2016 by admin.